If cavities, cracks, or chips in your teeth cause you daily pain and trouble with eating and speaking, then you may benefit from dental fillings. Cosmetic dentist Edward Shukovsky, DMD uses experience, care, and advanced dental technology to strengthen teeth and restore them to pristine condition. Tooth-colored dental fillings fill fractures and holes in the tooth’s enamel to reinforce the tooth and prevent further damage, while blending in with the rest of the teeth. To learn more and determine whether dental fillings are the right option for you, contact our Stamford-based dental practice to schedule a consultation. Our team of dental professionals will help put you on the right track toward a restored and beautiful smile. Dental fillings, which can be made from a variety of high-quality dental materials, are restorative dentistry treatments that can be used to fill cavities or cracks in the surfaces of teeth. They also correct acute tooth sensitivity due to enamel loss. Because they are natural looking and can give teeth a smooth, polished look, dental fillings offer cosmetic dentistry benefits, as well. Tooth-colored fillings are applied to teeth through a dental bonding process and are intended to provide long-term benefits. Dr. Shukovsky first prepares the affected teeth to help ensure a strong bond and to minimize the risk of infection. Once the affected teeth have been prepared, the composite resin is carefully smoothed and sculpted to emulate the contours of ideally shaped teeth. A special dental curing light is used to harden the dental fillings. After a finish is applied to give restored teeth their natural sheen, the procedure is over. There may be some minor sensitivity for a couple of days, but this can be helped with over-the-counter painkillers. 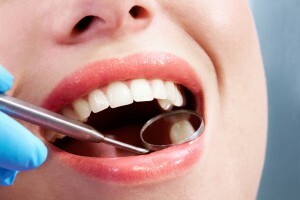 Dental fillings are relatively painless to apply, and require almost no recovery period. The results are immediately apparent to the patient. Regular chewing, biting, and speaking can be restored with dental fillings. Teeth can be reinforced and additional damage prevented. If you have minor tooth conditions that could be treated with dental fillings, contact our dental practice to schedule a consultation with Edward Shukovsky, D.M.D. Our team of professionals will help you achieve the smile of your dreams!